Mini Chocolate Chip Cupcakes with Edible Cookie Dough with a delicious vanilla cupcake mixed with mini chocolate chips and new Pillsbury™ Filled Pastry Bag Chocolate Fudge. 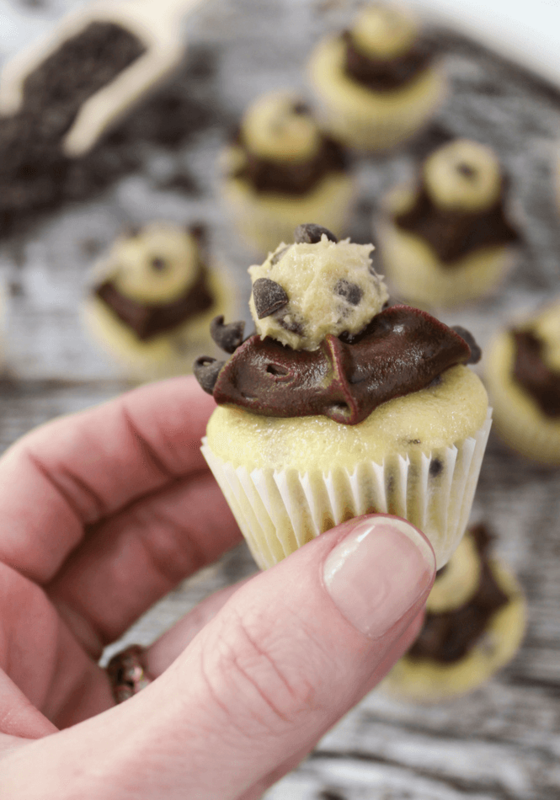 To make these mini cupcakes extra special, a small ball of edible cookie dough is placed on top. I found myself with a small amount of time without the kids the other day. I had a to-do list a mile long and wasn’t sure where to start. Heading out to the grocery store sounded better than cleaning the bathroom, so I grabbed my list and headed to ShopRite. Since it was one of those rare times without kids, I decided I was going to take full advantage and not worry about getting a thousand errands done, but just do the shopping so I could de-stress a little. Funny how our de-stress activities change throughout the years. Baking is one of my favorite past times, especially during the Fall season. As a busy mom I don’t have as much time as I’d like to be able to do all the amazing things in my kitchen like I used to. 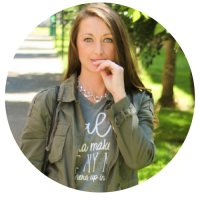 It can be so frustrating because I really enjoy it and love making super special treats for the people I love. Back in the days before kids, I would spend hours baking and carefully decorating everything perfectly. But that takes time…which is something I’m low on these days. 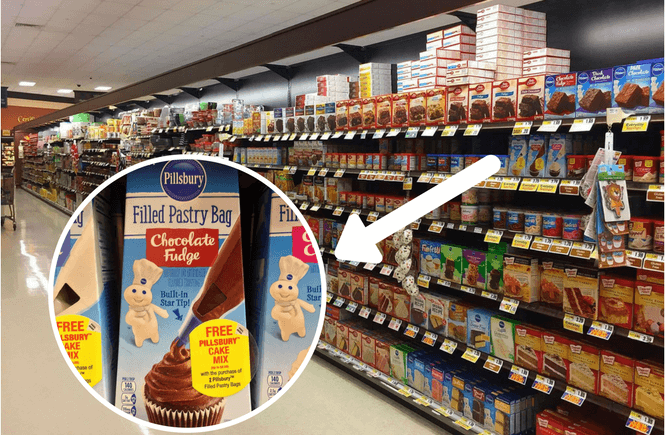 I’m always looking for ways to bake beautiful treats without it taking up my whole day, So when I was strolling down the baking aisle of our local ShopRite grocery store and saw these Pillsbury™ Filled Pastry Bags in Chocolate Fudge, I was beyond elated! Seriously, frosting already in a pastry bag ready to go? Do you know how much time that saves! The recipe ideas started flowing! Your favorite Pillsbury™ Creamy Supreme frosting flavors are now available in a pre-filled pastry bag : Vanilla, Cream Cheese and Fudge. While I have a soft spot for Cream Cheese frosting, the Fudge made it home with me for todays recipe. 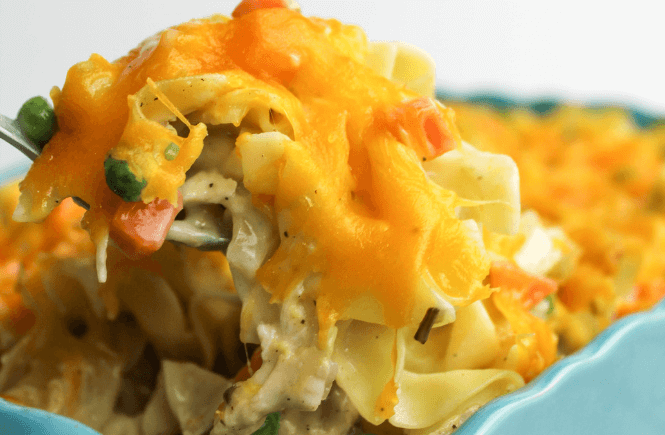 Get some more recipe ideas from Pillsbury™! it also comes with a star tip already attached so the frosting comes out looking gorgeous every time! You can easily decorate in three great designs: stars, rosettes or waves. These little bad boys are the perfect size. A little cake, a little chocolate, a little cookie dough…for when you can’t decide what you want (cake? cookie? fudge?) 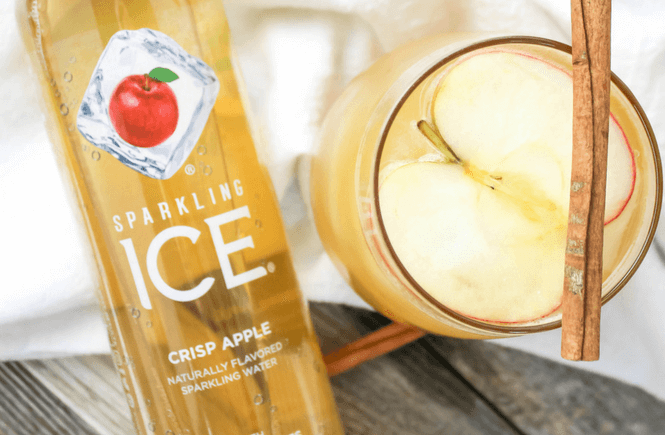 and you want it all…this is for you! These tiny cupcakes make a statement and having more then one is an option because of their size…so, YAY! I was feeling pretty accomplished after I was done, and I was even able to let the little hands of the house help out since the Pastry Bags are so simple to use, and definitely less mess than traditional pastry bag I would have filled myself for the kiddos to use. 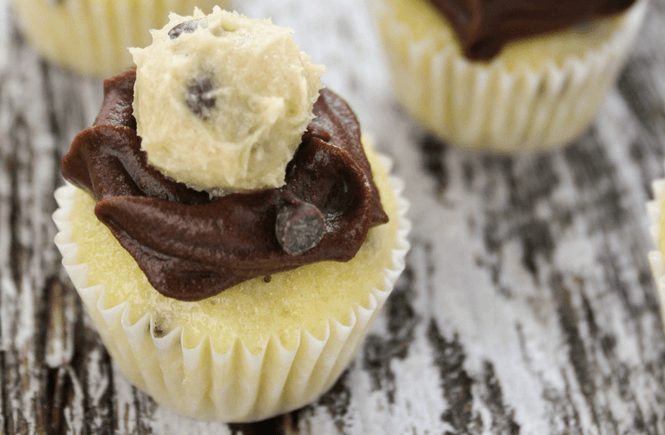 Let’s begin baking these Mini Chocolate Chip Cupcakes with Edible Cookie Dough! Grab two mixing bowls, mini muffin pan, mini cupcake liners, hand mixer, measuring cups and all the necessary ingredients that are shown in the recipe card below. Preheat your oven to 350 degrees and start mixing the cupcake batter. Mix the softened butter, sour cream and eggs with the hand mixer in a large mixing bowl until smooth. Add in the vanilla extract, flour, baking powder, salt and sugar. Mix again! 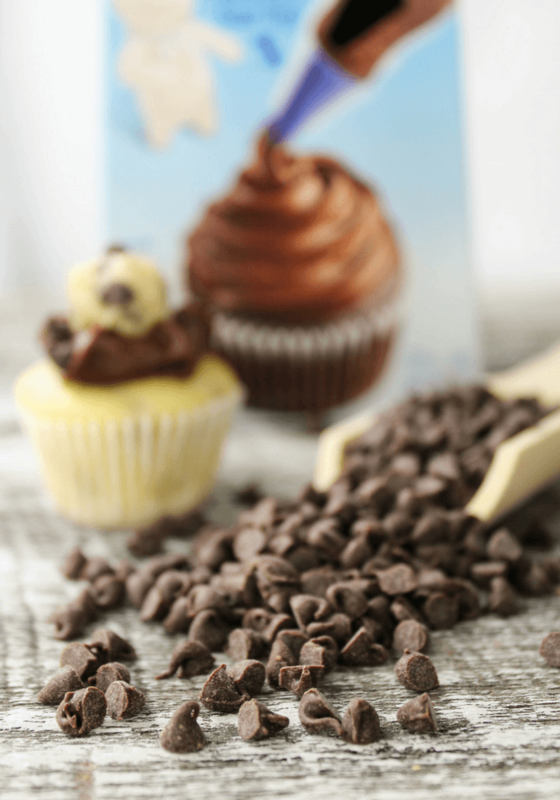 Pour in the chocolate chips, stir and prepare the cupcake liners. Place the cupcake liners into the muffin pan. Pour batter in each liner. 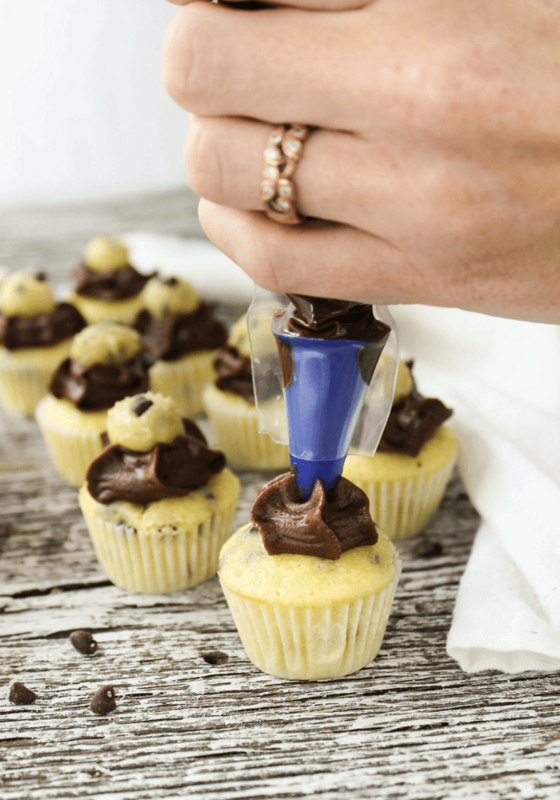 I always use an ice cream scooper to fill cupcake liners to make the process a little easier, especially when the kids are helping me out. Bake your cupcakes for about 10 minutes. Check to see if the cupcakes are done after 10 minutes of baking by inserting a toothpick. If the toothpick pulls out clean, the cupcakes are done baking. If not, bake another 2 minutes. As the cupcakes are cooking, begin the edible cookie dough. In a mixing bowl, add sugar, flour, softened butter, salt, and milk. Use the hand mixer to thoroughly mix ingredients together. If the batter seems too thin, you can add in a bit more flour to thicken it up. Stir in the chocolate chips and place batter into the freezer. Push the frosting toward the star tip and twist the top of the pastry bag. If not already removed, remove the plastic over from the star tip by tearing at the perforation. 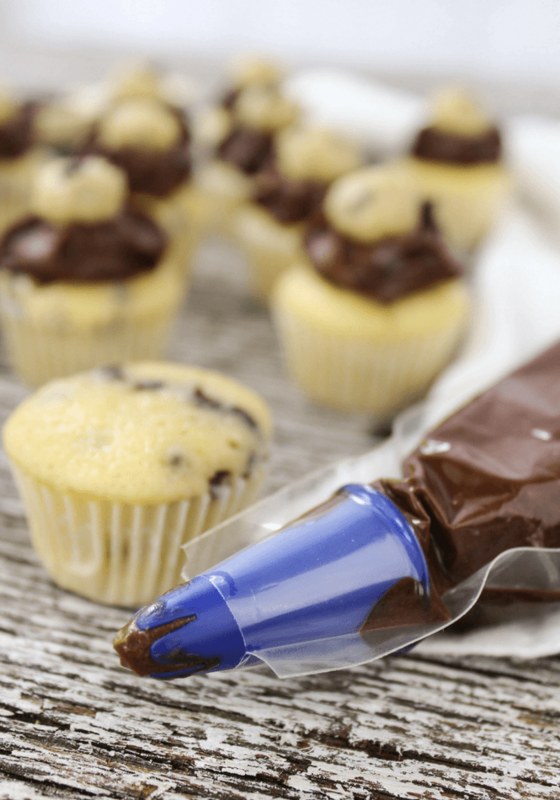 Squeeze from the top of the pastry bag to frost your cupcakes. Just a dollop of frosting in the center of each cupcake will do it for today. Remove the edible cookie dough from freezer and roll the small cookie dough balls using the palm of your hand. You can make them any size, just make sure it is consistent! 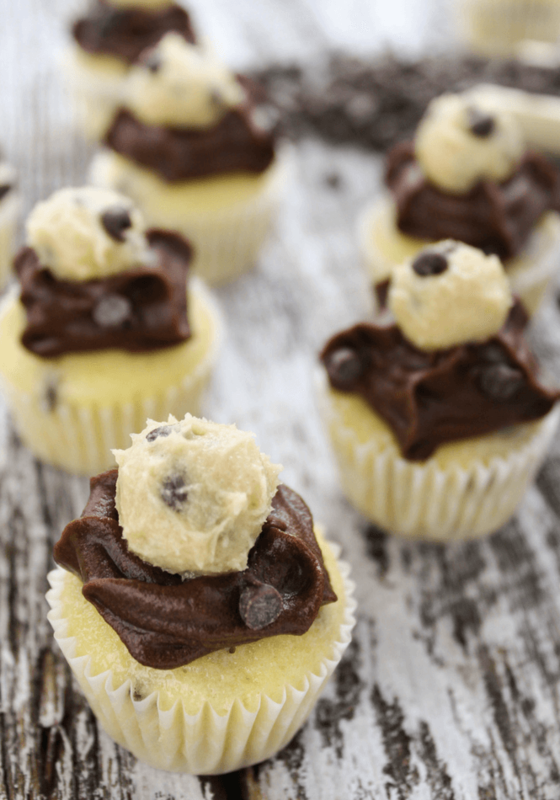 Place a cookie dough ball on top of each cupcake and sprinkle with extra mini chocolate chips to garnish. 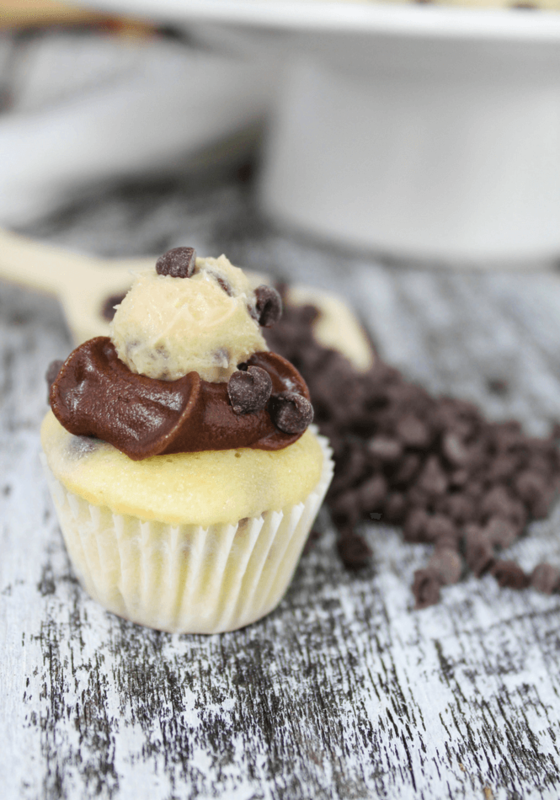 Mini Chocolate Chip Cupcakes with Edible Cookie Dough with a delicious vanilla cupcake mixed with mini chocolate chips and Pillsbury™ Filled Pastry Bag Chocolate Fudge frosting. 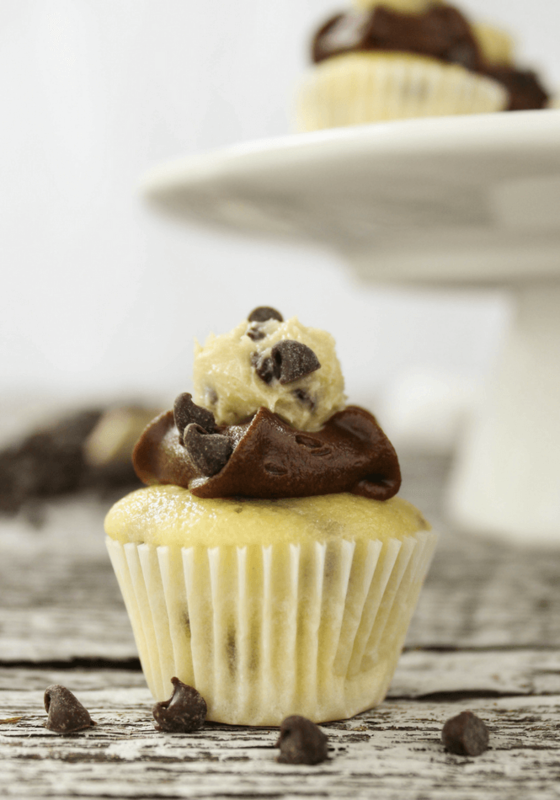 To make these mini cupcakes extra special, a small ball of edible cookie dough is placed on top. There is a potential risk of foodborne illness from the consumption of raw flour. In a large mixing bowl, add .5 cups softened unsalted butter, .5 cup sour cream and 3 eggs. Use a hand or stand mixer to mix well. Add 1 teaspoon vanilla extract, 1.5 cups flour, 1 cup sugar, 1.5 teaspoons baking powder and .5 teaspoon salt. Mix again. Add 1 cup of mini chocolate chips to your bowl and stir. Place mini cupcake liners into your mini muffin pan. Fill each cupcake liner with cake batter filling ¾.
Bake for 10 minutes. Check with a toothpick after 10 minutes. If toothpick comes out clean, remove cupcakes from oven. If not, add another 2 minutes of baking. As the cupcakes cook, make your cookie dough. 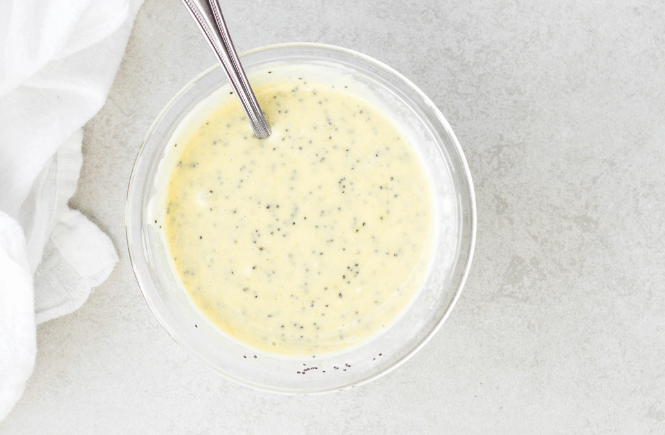 In a mixing bowl, add .5 cup softened unsalted butter and use your hand mixer to blend. Add the ¾ cup brown sugar, .5 teaspoon vanilla extract, .5 teaspoon salt, .5 teaspoon vanilla extract, 1 tablespoon milk and 1 cup flour. 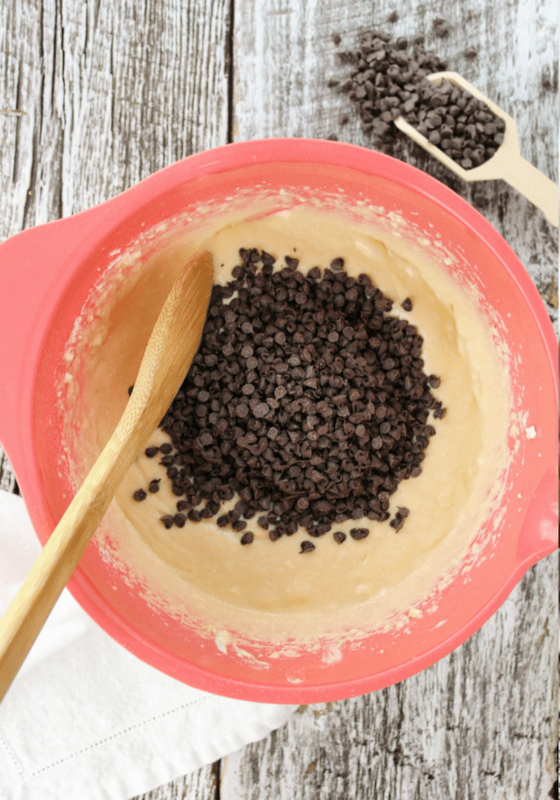 Use a hand or stand mixer to thoroughly mix. Stir in 1 cup mini chocolate chips. Place cookie dough into freezer until cupcakes are cool enough to frost. 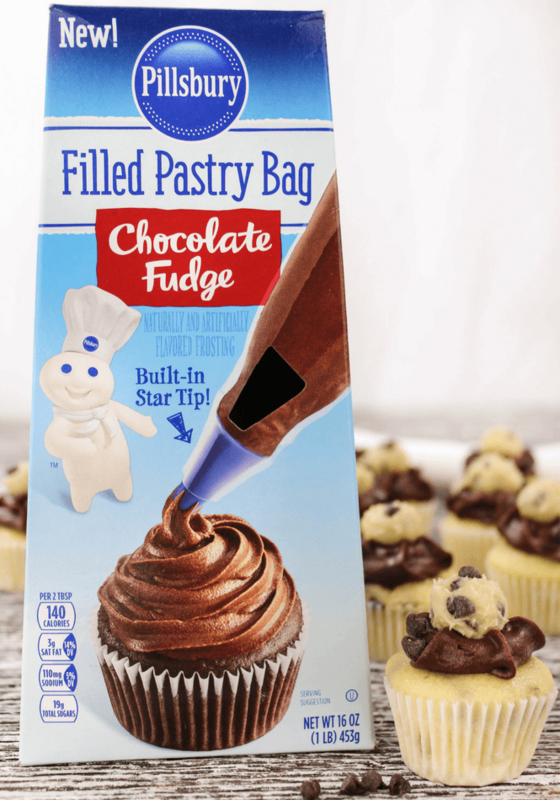 Once cupcakes are cool, frost each one using Pillsbury™ Filled Pastry Bag Chocolate Fudge because it is so delicious and simple to use. Roll the cookie dough into mini balls and top each cupcake. These can be any size you wish, just keep them consistent in size. Sprinkle extra mini chocolate chips if you wish and serve. What fun recipe creations will you come up with using these Pastry Bags this Fall? Visit Pillsbury™ for more ideas. 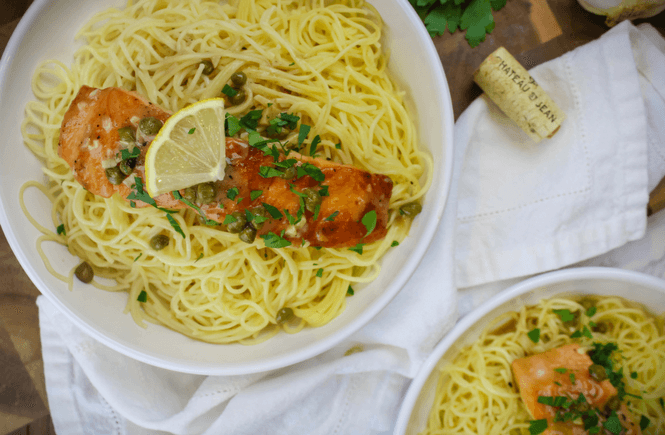 This recipe looks so amazing! Thanks Adriana! Cant go wrong with chocolate and cookie dough. These are just the cutest cupcakes! They look and sound incredible. 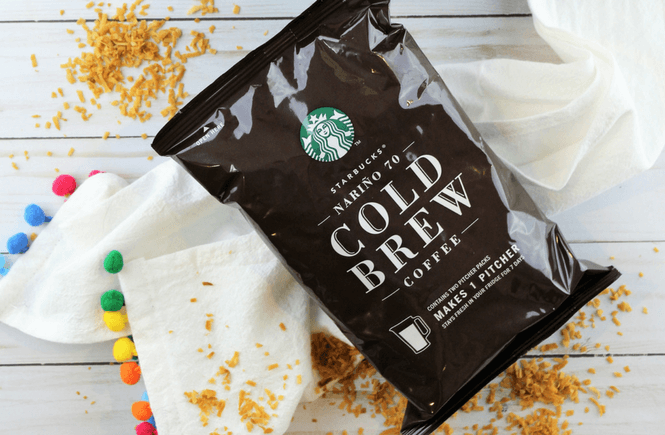 WOW these look delish—and how cool that they sell pre-filled pastry bags now! Funny, I used to spend so much time baking & decorating too, and now just can never find the time! 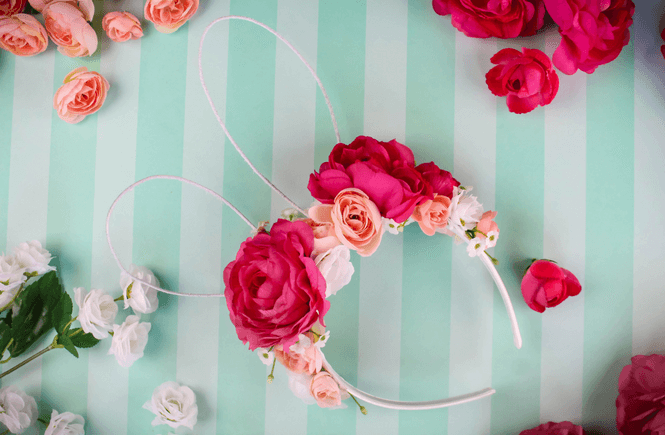 These will be on my list for the next time I find myself kid-less! It is hard to find time the time to bake with kids running around but these pastry bags surely help save some time. Oh my goodness gimme! I need to try this with my littles! 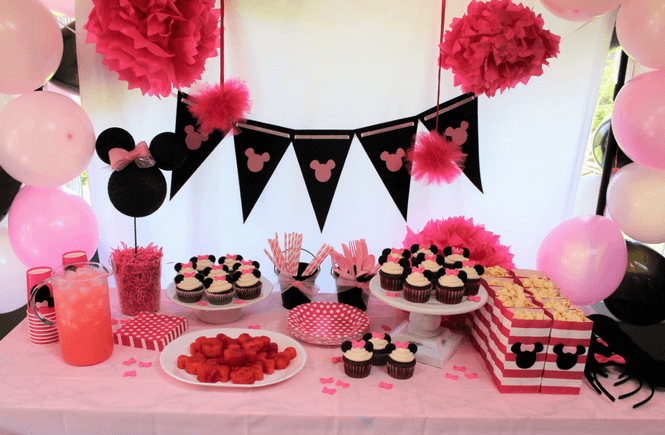 Your little ones would enjoy helping you decorate and eat these! These look so delicious! I love anything with cookie dough! Me too. Cookie dough is amazing! Oh Yum! These looks so good! Its so good. If you love fudge frosting, you will enjoy it for sure.